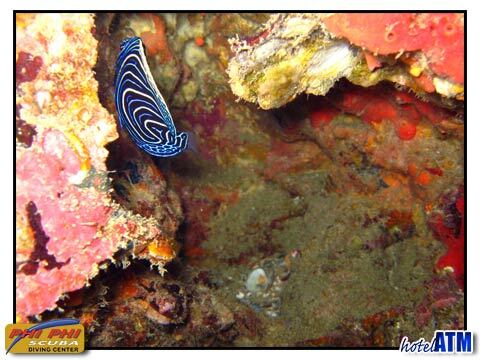 The ocean around Phi Phi Island offers exciting scuba diving opportunities for all levels of divers, gentle sloping reefs covered with beautiful collections of soft and hard corals. 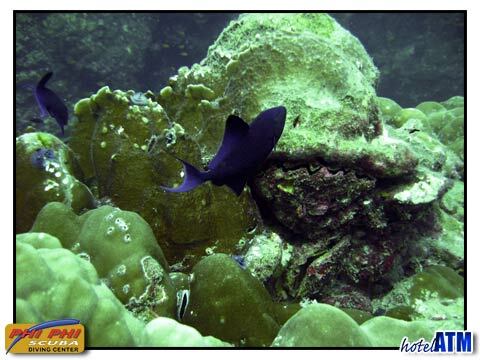 Huge fallen boulders and rocks forming an amazing collection of swim-throughs and caverns, or deep walls covered in an amazing selection of coloured corals, there are dives to suit all tastes. 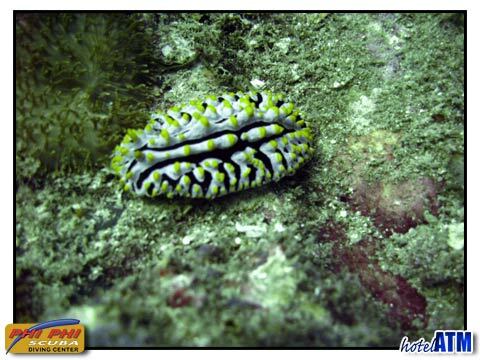 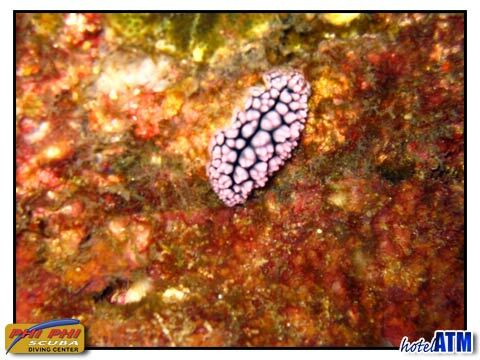 When it comes to marine life Phi Phi has it all to offer, if your looking for small macro life such as sea horses, ghost pipe fish or nudibranchs or diving adventures with sharks, turtles, moray eels and octopus then look no further than the Phi Phi Scuba Diving Center. 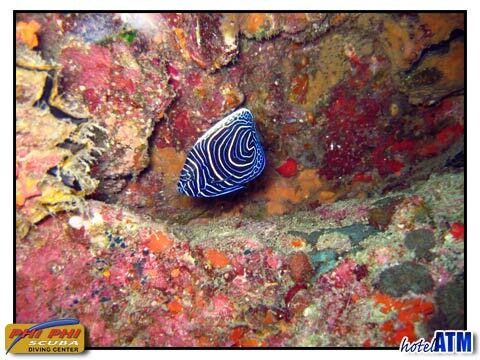 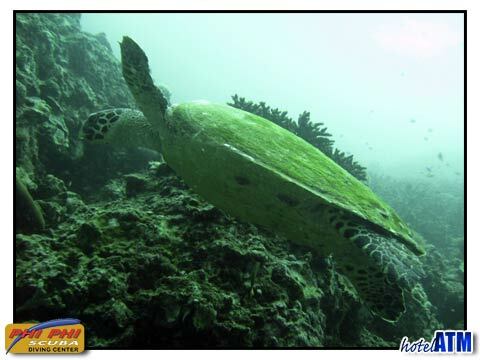 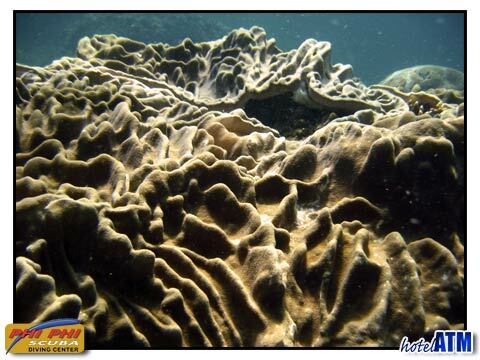 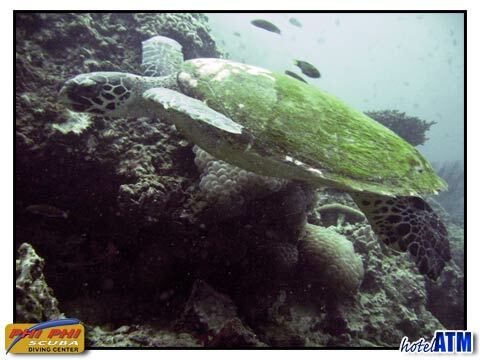 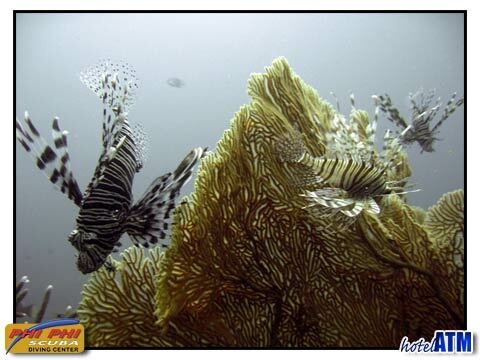 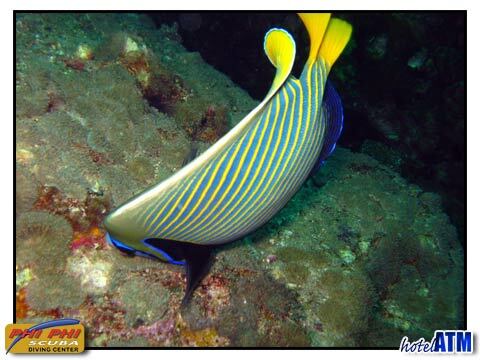 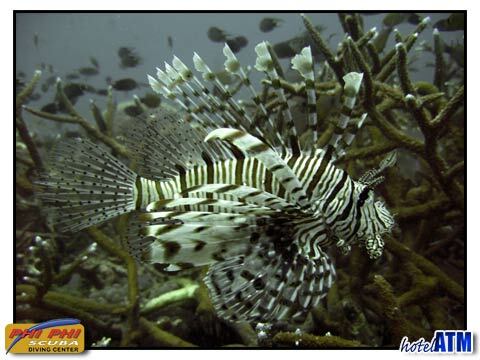 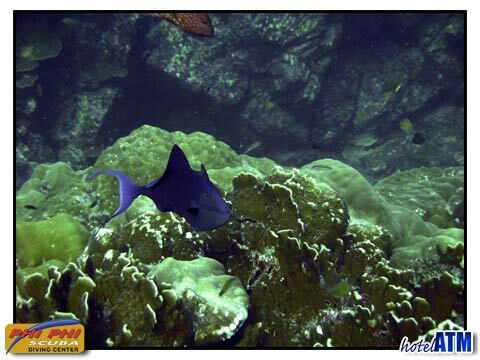 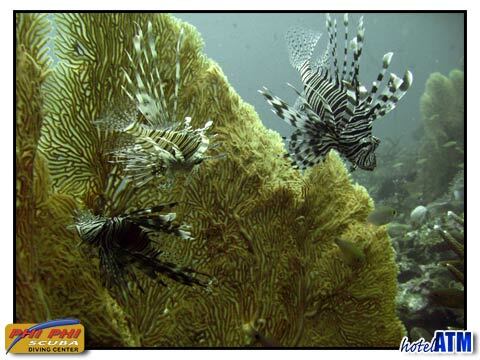 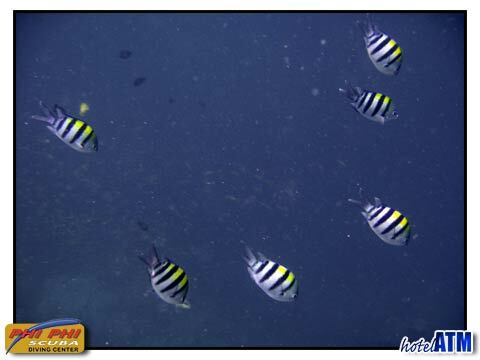 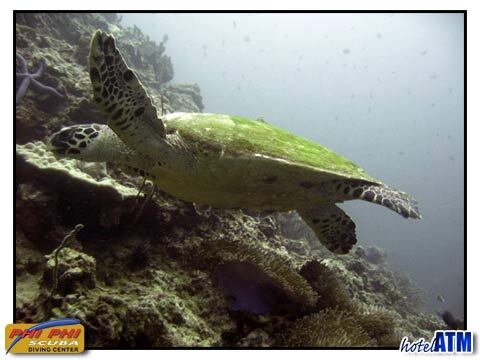 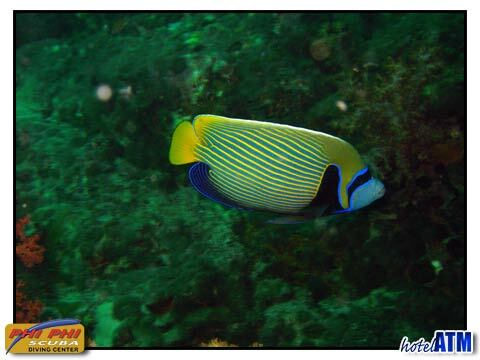 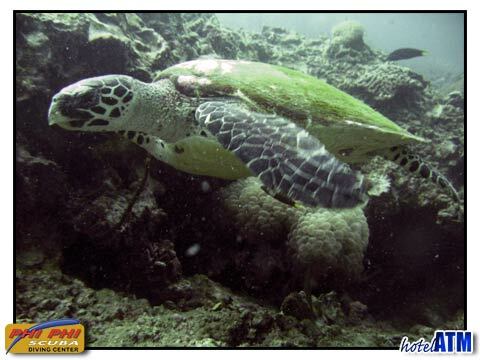 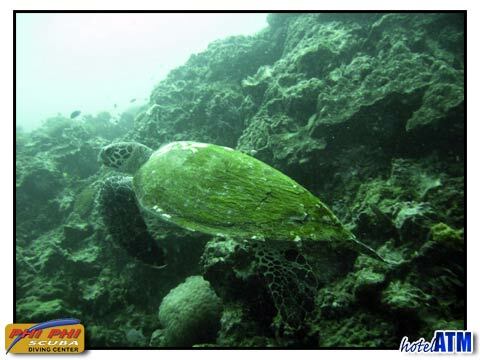 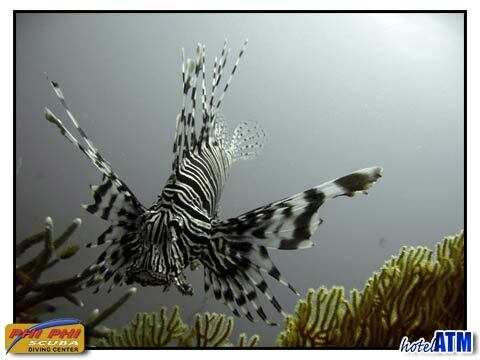 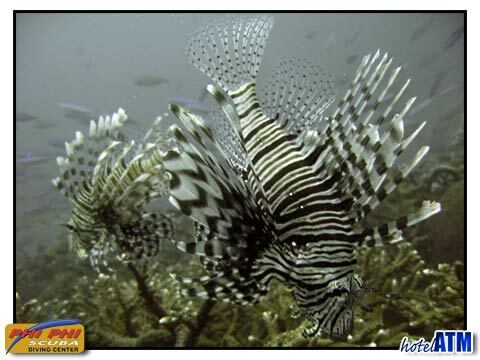 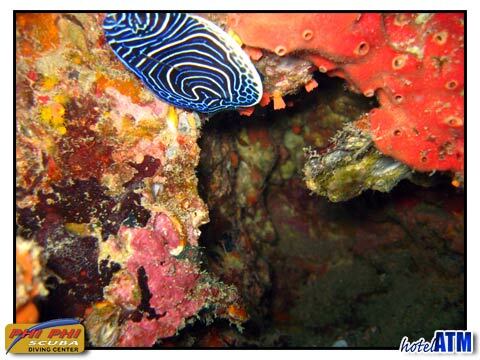 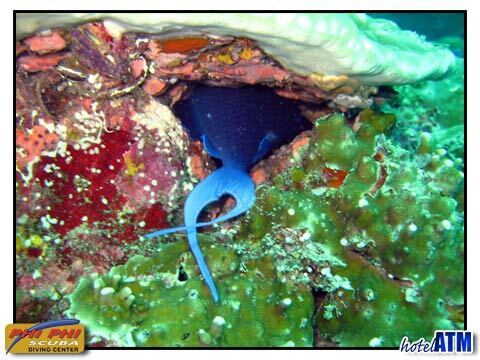 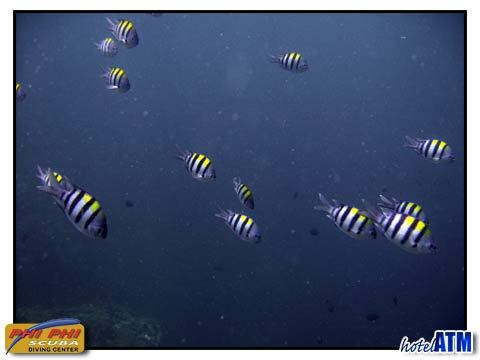 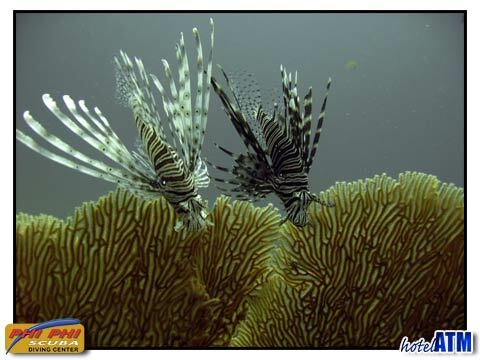 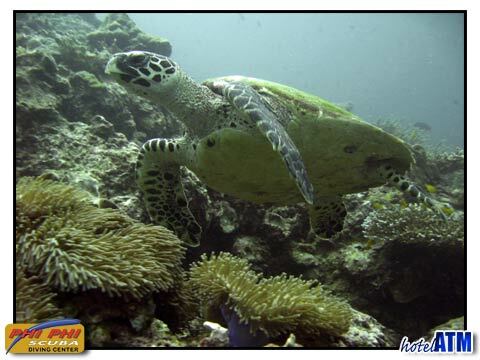 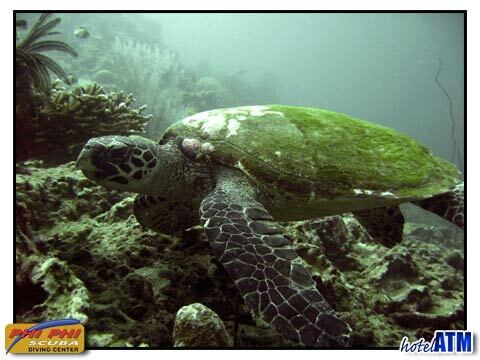 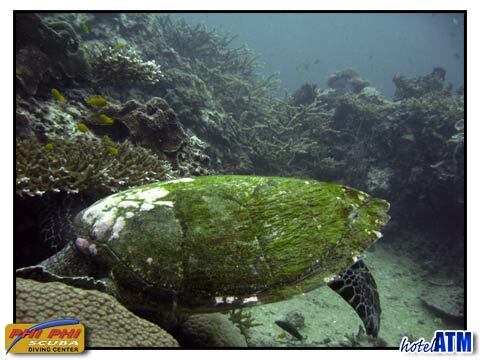 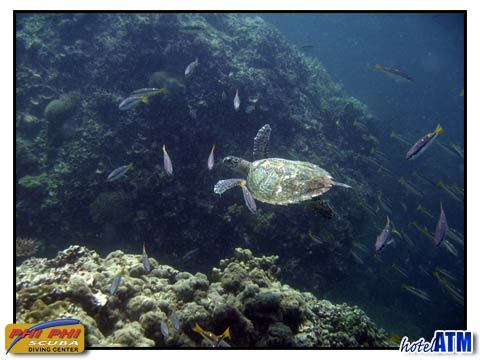 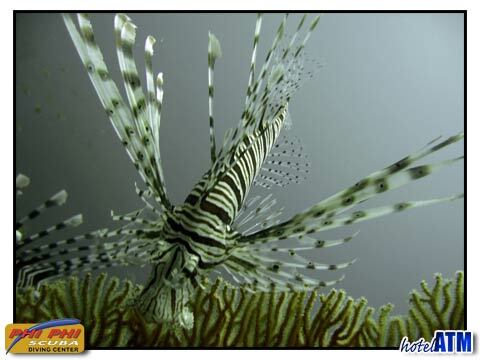 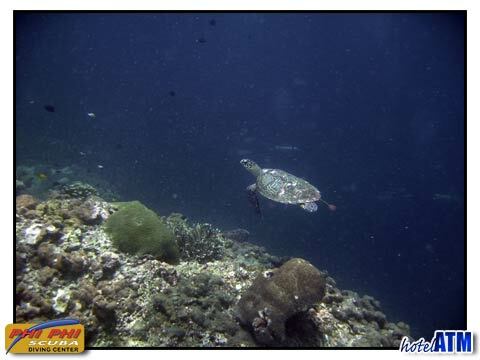 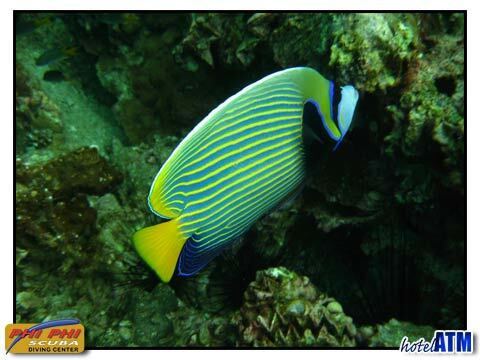 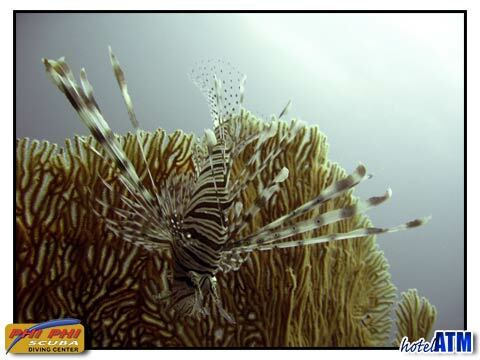 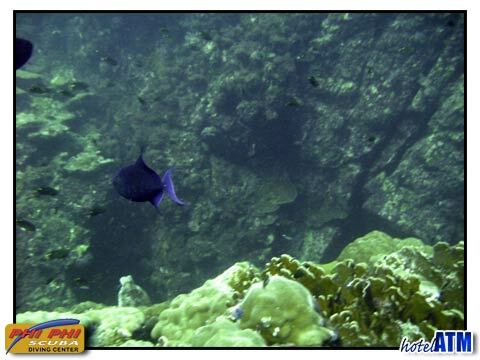 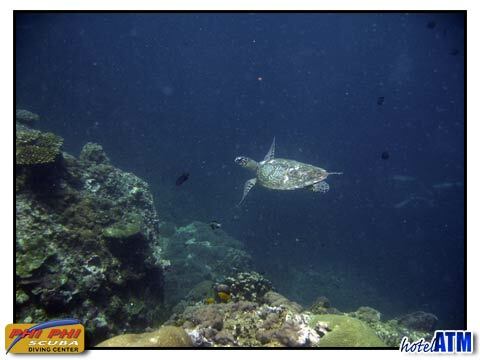 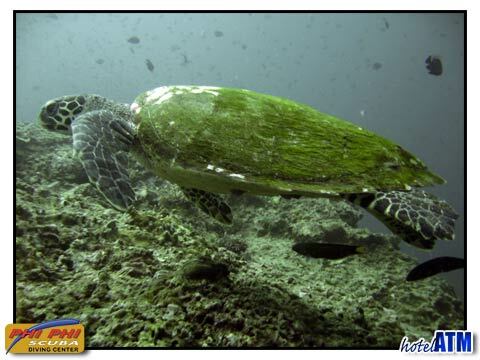 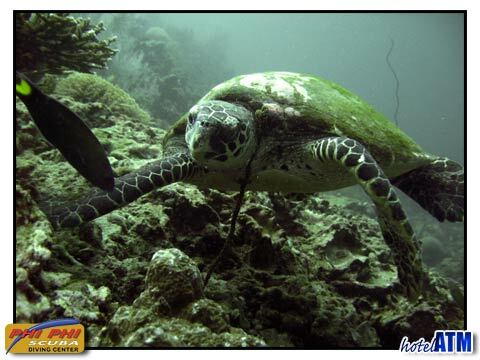 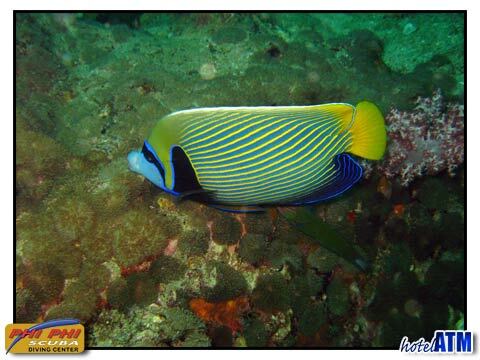 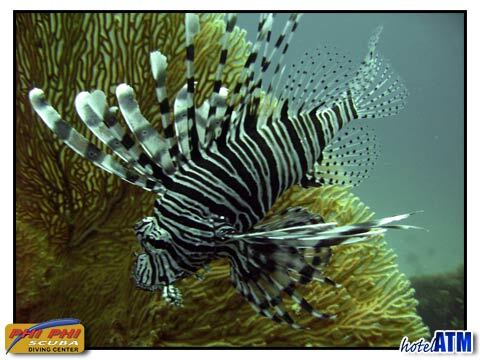 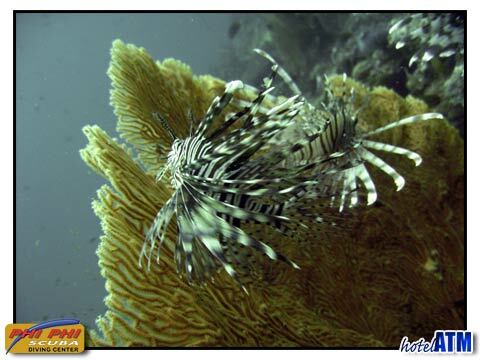 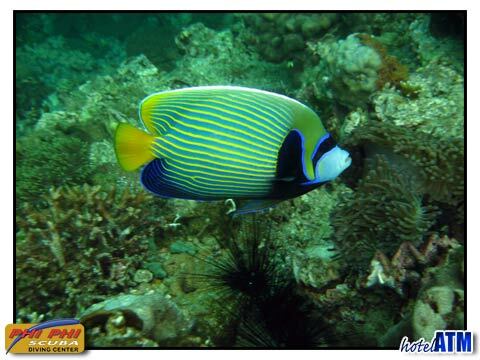 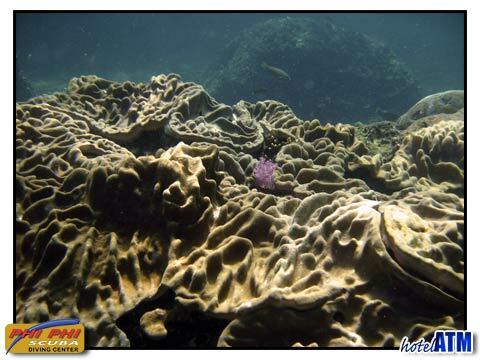 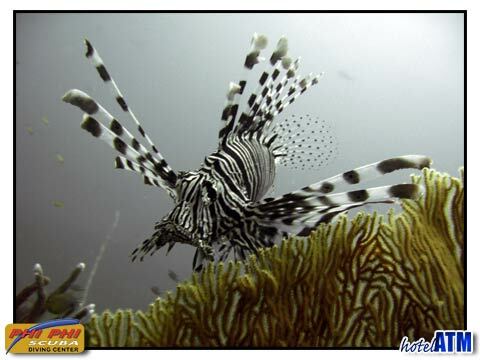 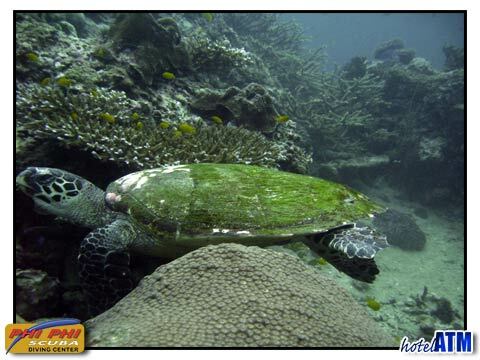 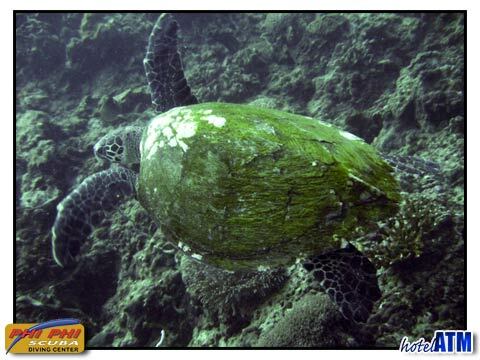 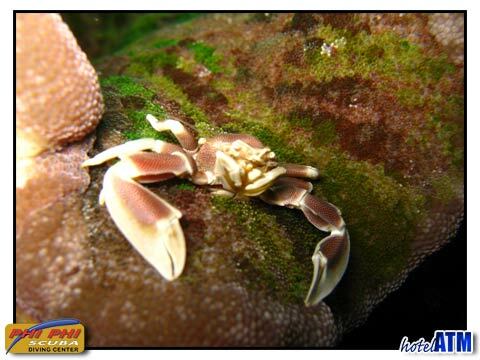 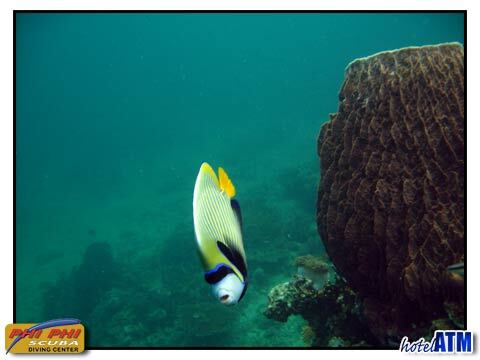 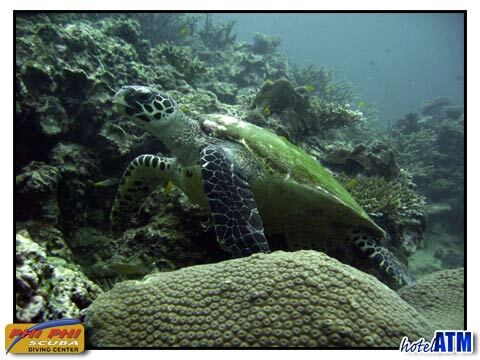 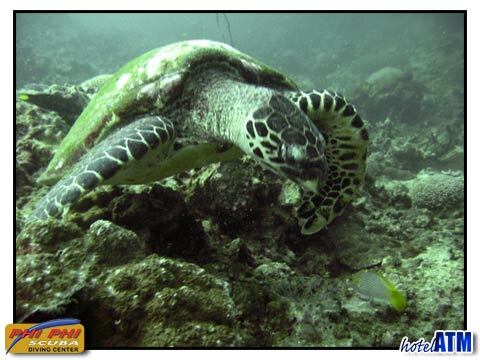 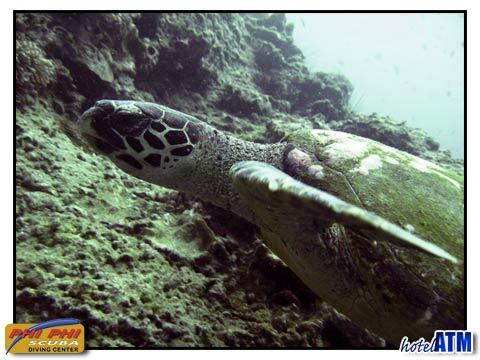 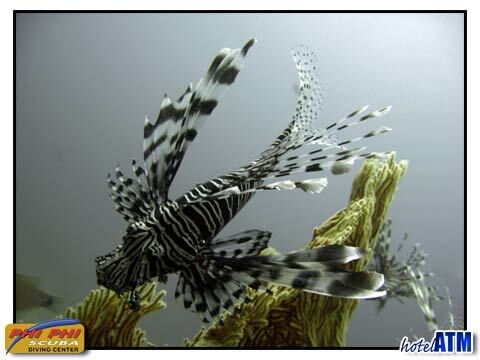 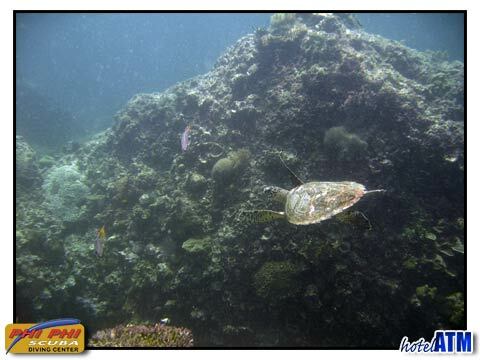 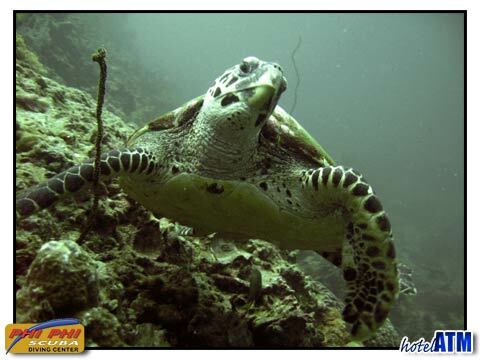 Phi Phi Diving has many advantages to Krabi or Phuket Diving because you are right on the reefs.It only takes 10 minutes to arrive at the first div-able reef Hin Dot and Phi Phi ley reefs are only 20-25 minutes from the main pier.